It’s a great time to be in the freight brokering business, and there are plenty of reasons to consider starting your own brokerage now. With an improving economy across the U.S., an increasingly stable and growing industry, and increasing demand for new brokers, you have all the external conditions to become a successful freight broker. We’ve compiled this comprehensive guide and an infographic that will take you through the main steps of launching your business. You can read our step-by-step guide below or jump straight to the infographic. Before you take the first steps to launch your freight brokerage, it’s a good idea to review the role of the broker in the industry. Besides earning well – freight brokers can make up to $90,000 per year – they’re also indispensable for the transportation of goods and cargo. Essentially, freight brokers keep the economy running. **NEW:** Download our FREE e-book guide containing comprehensive information on getting licensed and staying compliant, whether you are an aspiring, newly started or experienced freight broker! Freight brokers are filling in a crucial role in the movement of freight, as the missing link between shippers and carriers. They negotiate good shipping rates and fast deliveries from transportation companies, and connect them with the businesses that need to transport goods or cargo, so carriers can maximize their loads. Besides acting as an intermediary, brokers have an important function in the tracking of freight, as they keep thorough records of pickups and deliveries, and other information. They also oversee the legal part of the transportation, as they need to be experts in shipping regulations and procedures. Brokers are the ones who make sure that each step of the transportation process occurs, so that the freight arrives safely to its final destination. To become a freight broker for trucking and transportation means to take responsibility for a vital part of the shipping process. Starting your freight brokering journey does not need to be complicated – but you do need to prepare thoroughly for launching a freight brokerage business. So what does it take to become the much-needed middleman in the transportation industry? While brokering freight does require knowledge and experience in the field, there is nothing you cannot gain with practice and diligence. In other words, a strong will is among the most important qualities you need to have in order to make it. In terms of skills, it’s a good idea to refresh your math skills because you’ll need to make use of them on a daily basis. Turning on your business know-how is important too, because you need careful analysis and critical thinking to make the best of existing opportunities. Your communication and people skills, naturally, are of critical importance, as a large part of your work will be done over the phone or email – both negotiating and closing deals. If you have – or can build up – some experience in the transportation industry in another role, this can be very beneficial for your brokering, as you’ll be better connected with the main players in the field. Besides the general skills you need to refresh or develop, you might want to attend a freight broker school in order to get fully prepared for actual requirements of the brokering job. Getting the top freight broker training books is also important, so you can always refer to them when you’re unsure how to go ahead. The best option for freight broker agent training is to attend freight broker classes. There are numerous solid freight broker training experts – Dennis Brown from Freight Broker Bootcamp school, and Scott Woods from the Transportation Training Group, just to mention a few. Investing in transportation broker training with an expert can give you deep insight into the workings of the industry and its main players. You’ll also pick up practical knowledge about the work of a freight broker, and learn how to work with shippers, and how to handle shipping rates negotiations. Let’s not forget that training can lead you to open freight broker jobs too, and potentially open many doors for your business. We asked David from LoadTraning how much time one would have to set aside to pass a freight broker course as well as some hands-on training. David told us that in order to go through the “Broker Operations Manual”, which includes all the relevant theoretical info and data, one should plan on setting aside about three weeks. And then you should also plan on at least one more week of hands-on training at a brokerage where you will develop some initial skills. 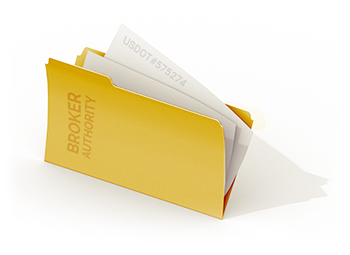 In order to legally operate a brokerage, you will also have to choose a company name and register your business. You can check whether the name you’ve chosen is taken at the US Patent and Trademark Office. Part of registering is also carefully selecting the kind of entity you’d like to register as – sole proprietor, partnership, limited liability company or corporation – and then registering your business in your state at your local business license department. On a more practical note, preparing a solid business plan is very important. With it, you will be able to apply for a line of credit with your bank but even more than that, your business plan is also an exercise in specifying which niche you will be targeting and who your customers are. Your business plan includes a go-to-strategy and the more you invest in figuring out the specifics and researching the market, the better you will be prepared to meet its challenges. A freight broker without carriers is like a ship without sails. Part of your go-to-market strategy should also include finding the carriers which work in the field of operations you’ve chosen for yourself. What’s more, the right carriers are also the ones that are trusted, reliable and professional. This makes the task hard but not impossible! From online directories and direct references by other brokers to networking events, there is a multitude of ways to find the right carriers for yourself, so don’t hesitate to try out a number of them and don’t just go with what feels easiest! After you’ve gotten acquainted with the important role of the freight broker, and what you need to get started in terms of education and a business plan, it’s time to delve into the legal side of how to become a freight broker. Your first step in getting licensed is to get a USDOT number, which is required on the application form. Then you can start the registration process on FMCSA’s website. Along with filling in the freight broker application form, OP-1, you have to also pay the one-time application fee of $300. You can find further instructions for filling in OP-1. The processing time is between four and six weeks. Once your application has been approved, the FMCSA will send you your MC number by mail. The MC number, however, does not mean you can start business yet. When it’s issued, it gets posted on the Register page of the FMCSA. Within 10 days, anybody who finds a problem with your registration can protest against it. After this period, you are granted the MC authority. As just mentioned in the previous section, to get your MC authority from the FMCSA, you need to obtain a freight broker bond, or a BMC-84 bond. The bond requirement was raised to $75,000 back in 2013 to ensure high industry standards and accountability. If you’ve never worked with surety bonds before, it’s important to understand what they are: in essence, a three-party contract. Your freight brokerage is the principal, the FMCSA is the obligee, and the surety is the one providing the bond. On the basis of this evaluation, the surety decides your bond premium, or your actual your freight broker bond cost. That’s right: you don’t need to pay the whole bonding amount, but only a percentage of it. If your credit score is above 700, you’re likely to pay between 1.25% to 3% premium, or between $937 and $2250. For applicants with credit score between 650 and 699, the percentages are between 3.5% and 5%, or $2,625 and $3,750. Even if your credit is far from perfect, you can still get bonded with a bad credit program, though you’ll have to pay slightly a higher premium to mitigate the risk involved. Apply for your freight broker bond today and lock your rate for 90 days! In general, the best tip to reduce the price you have to pay for your freight broker bond is to work on improving your credit score. You can find more smart tips on reducing your costs when renewing your bond yearly in this useful freight broker bond renewal guide. With your MC number, you can go ahead with getting insurance (Form BMC-34 for loss and damage and in some cases, Form BMC-91 or BMC-91X for bodily injury, property damage and environmental restoration) and your surety bond, which we detailed in the previous section. You need these insurances because many, if not most, shipping companies will request that you present these before you begin work together. At this stage, once you’ve obtained your bond and insurance, you’re ready to choose your process agents for each state you do business in. This can be done through Form BOC-3 (Designation of Agents for Service of Process) which you need to fill in and submit to the FMCSA. When it comes to the material assets you need to start a brokerage, there are a few things to consider – even if you don’t plan to open a physical office in the beginning. The essential technical gear that you need at first includes a computer, a printer, a copy and fax machine, a landline phone and a mobile one, some office supplies – and a solid internet connection. You might also want to look into freight brokering software, as it can automate a part of your work and boost your productivity. With time, you’ll see what other items or services are necessary and get them as the need arises, but these are the basics. Unless you have enough cash already at your disposal, you will probably have to consider the line of credit you can secure before you start brokering. Since you will be the intermediary between shippers and carriers, you’ll often have to pay truckers for the shipment before you’ve received the payment from the shipper. Once you’ve settled your business plan and gotten a line of credit, you’re on the safe side financially, and you’ll be able to start brokering for success. From a marketing strategy and social media profiles with regular posts to a great website with a blog and printed marketing materials – the scope depends on what you think will impress future clients most. Getting well acquainted with what freight brokers do, how to become a freight broker, and how to start your brokering business is the first step in starting your successful business. 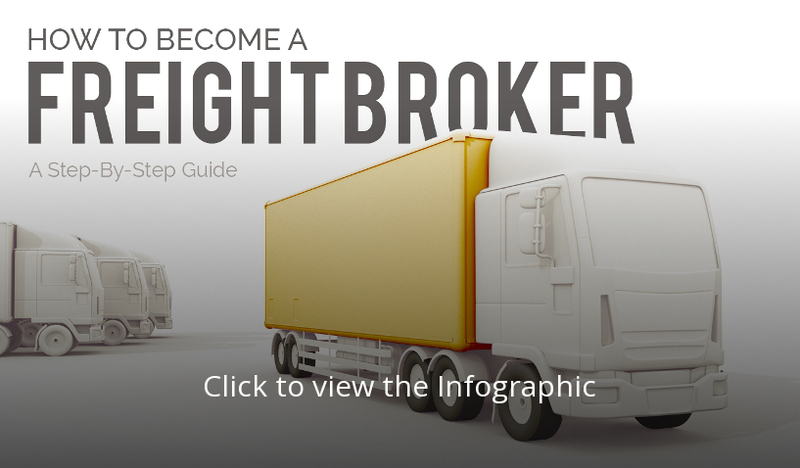 Check out our infographic below for a visual representation of the various requirements for freight brokers and what else you need to do or know when becoming a broker! If you’re ready to start, make sure to get a free quote online for your freight broker bond to save on your startup costs! Awesome infographic. When it comes to broker liability these situations can be very complex. Could you write an article explaining that too? I`m sure the readers would love it! The Truck Broker industry has become a huge part of the larger transportation/trucking industry in this country. From small one-man brokerage operations, to huge billion dollar international companies, truck brokers (also referred to as “freight brokers” or “third party logistics” companies) have taken on a large and important role in the transportation of goods across America. Because of the important role they play in this process, they also represent an important link in the chain of responsibility that is intended to keep our interstates and roadways safe—in other words, truck brokers also have a duty to operate in a safe, responsible, and reasonable manner so as not to endanger others who share the roads and interstates by hiring unsafe truck carriers to deliver freight. You can check out some more valuable info here. Hi, I’m truck driver. How do I become freight broker? I am fluent at Russian and Turkish languages. Leads – accept incoming leads from the Quote Form hosted on your own website, lead provider or another source, process and assign leads to a salesperson. Automated acknowledgment email to your customers with multiple templates. Quotes – send out Quotes and Follow Ups using multiple custom Templates. Integrated Customer Quote Acceptance and Order Details Completion. Automation Followups – set up automatic follow-ups for powerful workflow to convert your leads into paying orders faster. Order Management – convert quotes to Orders with 1 click, Smart Order Status Management, Automated Customer Updates, Secured Order Status Access for your customers. Post Jobs – Marketplace + Central Dispatch. Dispatch to the desired carrier, Share the Job with few local carriers, Make it available to a carrier only working a specific lane and more. Power and flexibility will allow for endless possibilities. Carrier Onboarding and Self Dispatch – 24/7 365 days a year, have carriers join your network with easy, vet them for requirements completion. Spend 0 minutes of your time, allow your carriers to request and self-dispatch an order. Powerful CRM – communicate with your customers like never before. Customer information, notes, preferences and order history. Locations and Terminals – Arrange Orders via terminals and marshalling yards with ease. Split Orders – Need to Split Big order of 20 cars, post and assign it to multiple carriers? 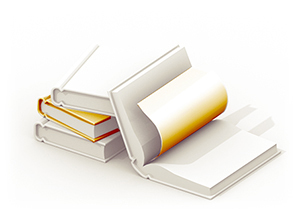 It’s easy to manage the entire process with CarShipIO Broker Tools. Sales Person and Commission Tracking – keep track of your best performers and commissions. Analytics – KPI dashboard and powerful business reports are at your fingertips no meter where you are. We just left you a message. Feel free to call our office at (877) 514-5146 and one of our freight broker bond specialists will be happy to answer any questions you may have about the bonding process. Our working hours are Monday through Friday, 8;30am to 4:30pm EST. Can I be a broker and an agent? I want to one day have trucks that hauls… I’m not sure on where to get started. Broker or agent? Thanks for the comment. It may be easiest to answer your questions via phone call, so I can ensure I fully understand exactly what you’re asking. Our number is (877) 514-5146. If for some reason we can’t answer your question, we can direct you to someone who can. Looking to Become A Freight Broker Or Freight Agent In 30 Days Or Less. Learn From A Ceo Who Started With No Experience And Now Does Over $32 Million Year. Huge Growth Opportunity In A $50 Billion Dollar Global Business Industry! I’m 28 years old. I speak Russian and Turkish languages very well. I am truck driver. How do I become a freight broker? Hello I’m looking to become a broker, I live in Illinois and dont have much experience or knowledge in the industry but I have great work ethic and I’m sure I would be good at it. The article was very informative and I would like to get started where do I go from here? I’m trying to find out how I can become a freight AGENT (not broker) with no experience. This is what a lot of people are doing to supplement there income. What’s the difference between a freight agent and a freight broker?